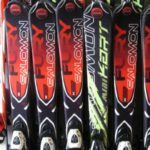 Should I buy or hire my ski equipment?? Boots are becoming increasingly sophisticated, offering specific fits for the individual foot. This is unlikely to happen in a ski hire shop, although certain shops take into account not just the size of foot but also the shape. If you’re going to buy one thing, we recommend that you go for boots. Organising ski equipment in resort can take time out of when you should be on the slopes. Unless you get the top of the range gear, chances are the equipment might be a little out of date. Hire shops buy in new equipment every year, but they don’t replace everything. Having said that, just because the equipment is a year old doesn’t mean it can’t be excellent. Work out how many times you ski or snowboard each year. If it’s only once or twice, it will probably work out cheaper to hire. Lugging your own kit through an airport can be hassle. You will also have to pay an extra baggage allowance fee as well. If you accidentally scratch your snowboard or skis, it’s not the end of the world. The hire shop won’t be happy, but as long as you were not riding down a gravel track they probably won’t ask you for compensation. Hiring gives you the opportunity to try before you buy. If you love your hire boots and skis at the end of the week, you might be able to buy them at a reduced cost. Lots of hire shops bring their equipment to your accommodation, saving you from traipsing around town. We use Doorstep Ski in Morzine – they are a fabulous little company that fit your equipment in the comfort of your chalet. In Le Grand Massif we use Twinner Sports – they are right next to the slopes and let our guests leave their skis and boards in their shop overnight. They are also run by Philippe who is a 2 time french downhill champion and double Olympian. All our guests receive between a 15-30% discount at these 2 hire shops.